← Take Advantage of HUGE DEALS at Zore’s Inc. Public Auto Auction! How Do Ethanol Car Engines Work? As a result of the unsteady prices of gasoline, people are constantly searching for answers when it comes to saving money on fuel and increasing their gas mileage. Ethanol-powered vehicles are currently a popular and practical solution to the increasing fuel costs in today’s society. To properly understand how ethanol car engines work, it is important to learn about ethanol fuel, its valuable properties, and where it comes from. Continue reading to do just that! Ethanol fuel is a bio-fuel because it is mainly extracted from plants such as corn, potatoes, hemp, barley, grain, sugar cane, and more. Bioethanol is actually ethanol; the same kind of alcohol found in liquor, beer, and wine. It’s most commonly used as a bio-fuel additive to motor fuel. In fact, the majority of vehicles on the road today operate on blends of ethanol and gasoline. In most cases, 25% of common fuel is ethanol, while the other 75% is gasoline. This is the likely blend a person will get at their local gas station when they fill up their tanks. In 1976, Brazil made it legally mandatory to blend the two fuels together. When blended, they are referred to as flex-fuels. Vehicles that retain an internal combustion engine that is specifically designed to operate on more than one kind of fuel are referred to as dual-fuel vehicles. Informally, these vehicles are referred to as flexible-fuel vehicles or FFV. This simply means these cars or trucks have the capability to operate on alternative fuels other than gasoline; or they run off of a combined fuel such as the modern-day blended gasoline mentioned before. Dual-fuel vehicles operate very similar to standard automobiles that use gasoline. Ethanol is injected into engines just the same as gasoline is injected into standard non-hybrid vehicles. Even though ethanol delivers slightly less gas mileage, its eco-friendly benefits make it a viable option for drivers. For example, when ethyl fuel is burned, it produces less harmful emissions and air pollution than standard gasoline. This advantage alone makes it worthwhile. Also, ethanol generally costs less than standard fuel or gasoline; making hybrid vehicles a cheaper option in comparison to standard automobiles on the market today. The similarities between the two engines makes ethanol cars cheaper than most hybrid vehicles as well. 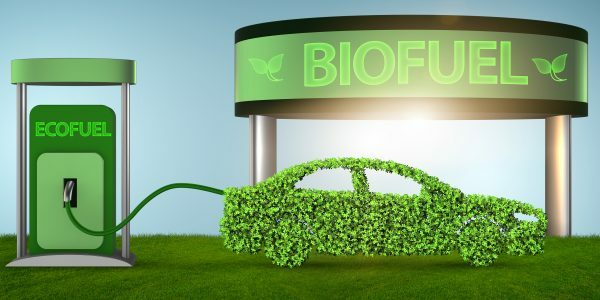 Bioethanol is a form of quasi-renewable energy that’s predicted to change the world of motor vehicles as we know it. It is an excellent alternative to standard gasoline and can provide a wide range of amenities that benefit not only us, but the environment as well. Call Zore’s Towing at 317-247-8484 for affordably-priced 24 hour emergency roadside assistance in Indianapolis and its surrounding counties. We offer 24 hour service, 7 days a week and 365 days a year. Regardless of your roadside assistance needs, we are fully-equipped and always on-duty to help. Choose from fuel delivery, lockout service, jump starts, and more. Call 317-247-8484 when you need fast Indianapolis roadside assistance you can trust! This entry was posted in Roadside Assistance and tagged 24 hour emergency roadside assistance, Bioethanol fuel facts, car engine trouble, Ethanol Fuel engines, Ethanol Fuel facts, Indianapolis Roadside Assistance. Bookmark the permalink.